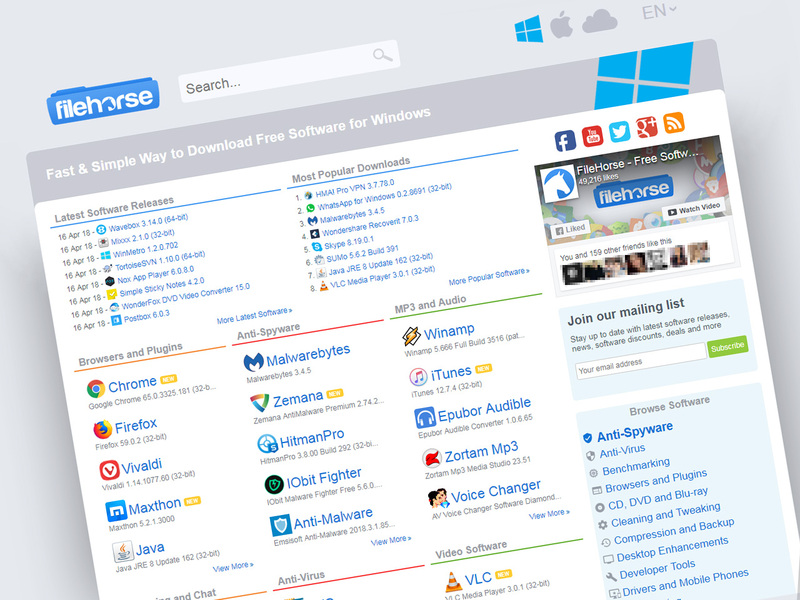 FileHorse presents you a new way of finding and downloading new software and finding latest web applications. Our website specialized in providing you with latest versions of hand-picked quality software for Microsoft Windows and Mac OS operating systems on a daily basis. Downloadable archives of old versions if you don't like the latest version. All software is tested and it's 100% spyware and anti-virus free. For all those writers or bloggers that are writing/blogging about our site we have prepared some materials that should help you with preparing your article. We have prepared for you detailed overview of the site, logo in full resolution and site screen shot. If you need anything else do not hesitate to contact us! Keeping in touch with our users is very imporant to us. We will carefully read and answer all your emails, so do not hesitate to contact us regarding any matter. If you have any suggestion or experience any problems please let us know! Click here to contact us!